Your morning routine sets the tone for your entire day. When everything clicks in the first 30 minutes of your day, everything that follows seems to fall into place far better. When things go wrong within that initial 30-minute window of time, though, it can create a cascading effect that leads to a downward spiral that will take you throughout your day. Organizing your bathroom for optimal efficiency can help you get your morning off to a much better start. 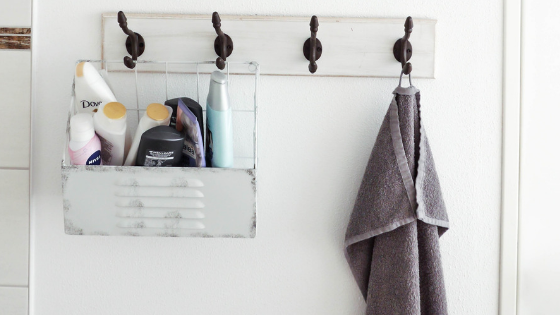 These are just some of the things you can do to keep your bathroom organized for maximum morning efficiency. No matter how spacious your bathroom cabinets may be, the odds are good that you can’t store every beauty tool, hair appliance and grooming essential on your bathroom countertops. With that in mind, you want the items you use most frequently within closest proximity. Things like toothbrushes, hair brushes, cleansers, etc. are items you need to grab and go with in the morning and not something you want to waste precious time looking for. When you use these items, make sure you put them back in their assigned spots. This not only helps to perpetuate the smoothness of your morning routine, but it also means you never need to look for these items again. Shelving systems and storage containers allow you to do more with the space you have. Bathrooms that have small countertops often have opportunities for vertical storage if you have the right equipment. You can find a wide range of clever storage ideas and shelving systems for bathrooms that are as attractive as they are inexpensive. Use them wisely to create additional storage for things like cosmetics, accessories, skin care, hair care, and grooming tools. Before you choose your next apartment in Chicago, Illinois, make sure you schedule your tour of our homes to explore our beautiful bathrooms and the many ways you can make them your own.